Have you always wanted a white living room but were afraid that it would look too washed out or just be uncomfortable? It’s true that decorating with whites can be challenging but when done correctly, it’s a sophisticated look that shows confidence and style. You can have a comfortable living space and create that wow factor using whites when you follow a few simple rules. First, you have to decide if decorating with whites is practical for your lifestyle. If you have young children or indoor pets, it may not be a practical choice unless you have a den or another family room where you’ll spend most of your time. In this case, you can create a white living area to use just for those special occasions. Once you determine that decorating an all white living room is for you, below are a few tips to help you achieve the look you want. Don’t be intimidated by the color white. It’s easier to decorate with this color than it is to mix and match colors. If you think that an all white decor would be boring, think again. It’s more dramatic and refreshing than many people realize and when you create the right combination of accessories, prepare to be amazed! Choose materials that are easy to clean for your sofa and chairs such as faux suede or leather and you won’t have to worry about your white furniture getting so dirty. Our expert interior decorators here at J. 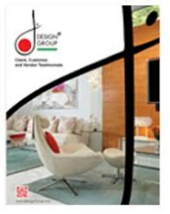 Design Group can help you choose the best furnishings for your home. Choosing décor with simple lines and flat surfaces along with mirrors, glass and metallic décor will enhance the look and make your white room more interesting. Limit your accessories such as wall décor and even furniture to a few special items. Everything that you place in the room will stand out, so you want it to be something that you’re proud to show off. Adding natural textures such as wood flooring will greatly enhance the overall look and help you create a beautiful living room design. There are many different shades of white to choose from and some will have a pink, blue, green or yellow undertone. The lighting will bring out these undertones once the design is complete, so make sure your white colors blend together. Different color whites create different looks. Creamy whites create a warm, romantic environment while bright or cool whites create a modern, fresh look. Layering accessories with various textures really helps to bring a white room to life. Once you incorporate white into your design, you can easily change things up a little by adding an area rug, changing the throw pillows on your sofa and chairs or by replacing the drapes. If you decide to decorate your living room in all white, be aware that it does require regular maintenance if you want to keep it looking good. The white will show dirt much quicker than neutral colors and it will stand out more so be prepared to dust, clean the walls and floor often. Decorating with white creates a fresh, clean and elegant design. When it’s done correctly, there’s nothing more beautiful!